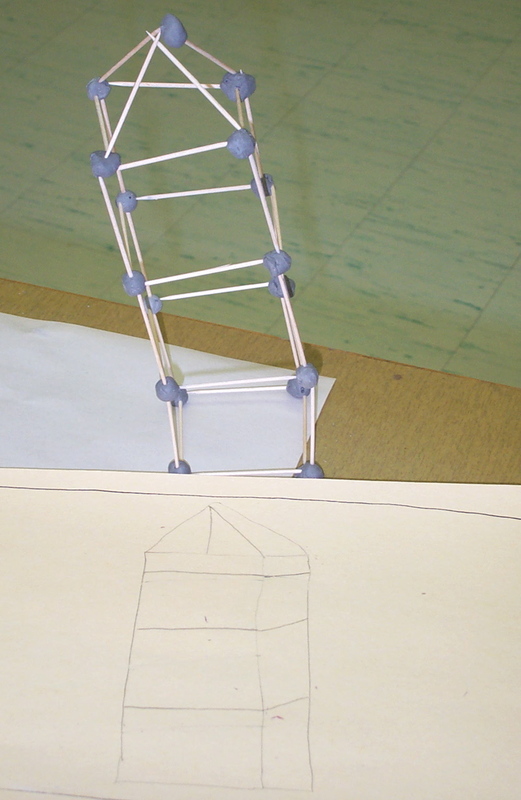 1st grade constructs pea or clay and toothpick structures and then draw them immediately. 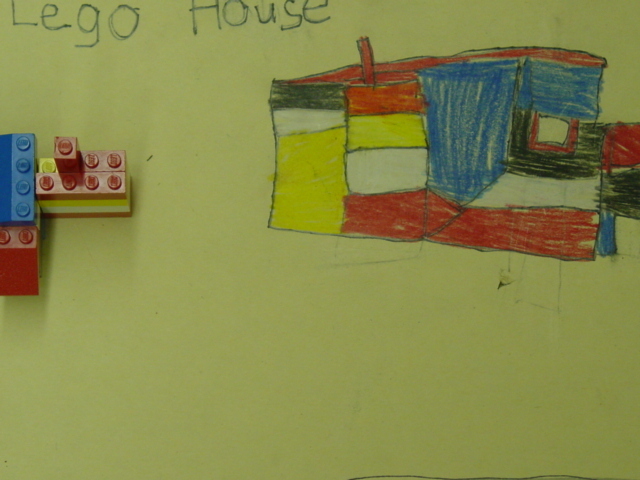 1st grade builds lego houses and then draw immediately. 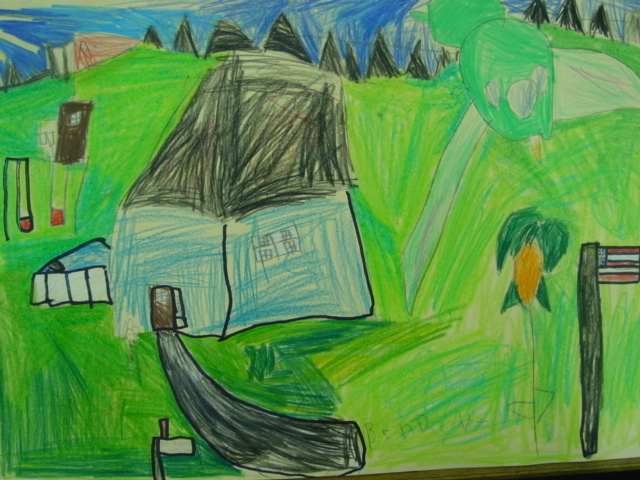 1st grade works with aerial perspective and overlapping. 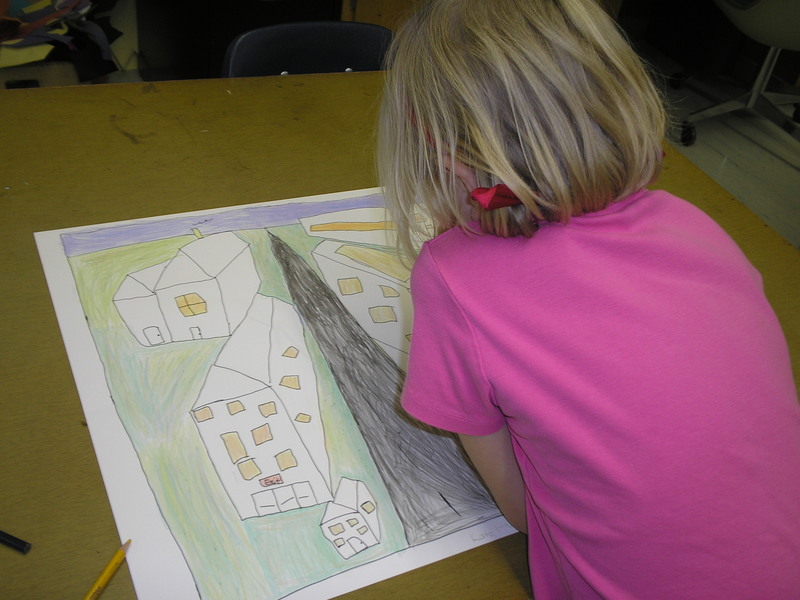 2nd grade works with one point perspective. 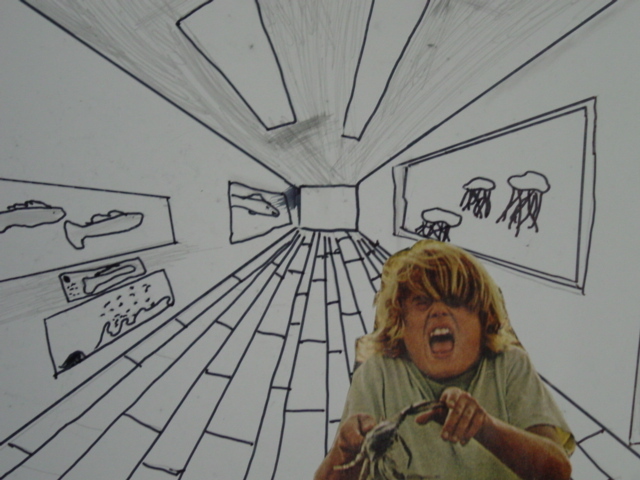 3rd grade creates one point room and uses collage for foreground. 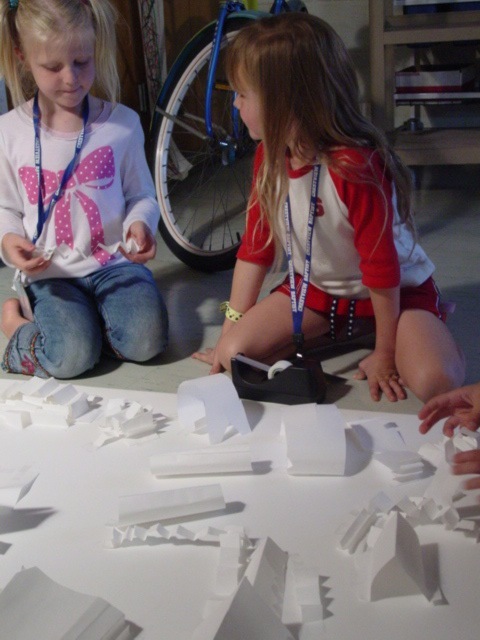 4th grade creates one point city from bird’s eye view. 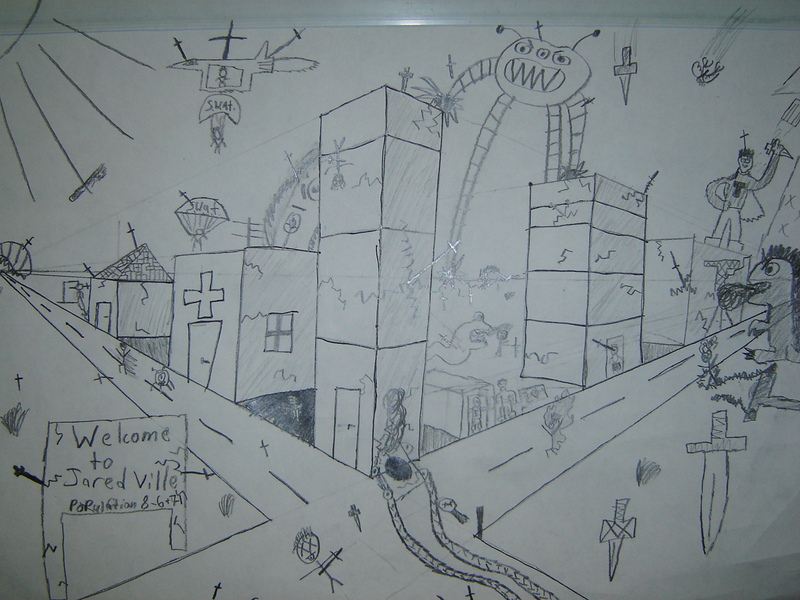 5th grade creates 2 point perspective city. 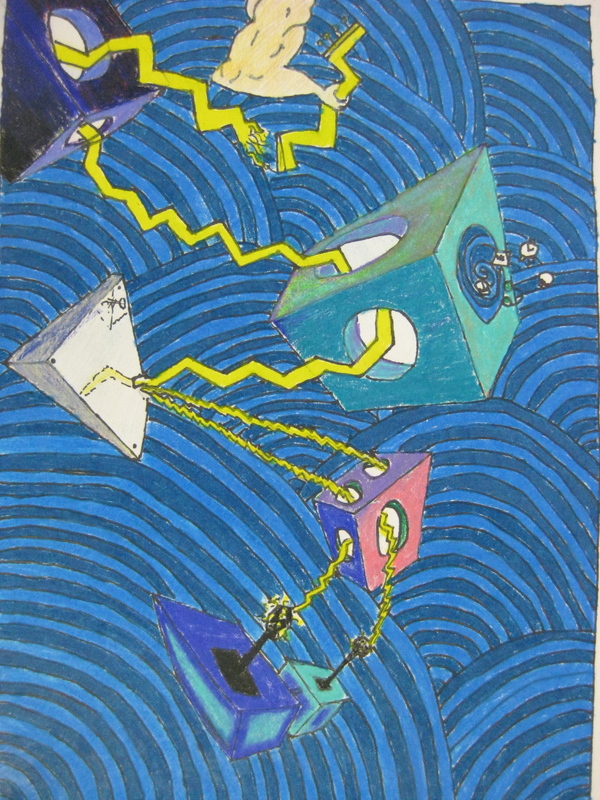 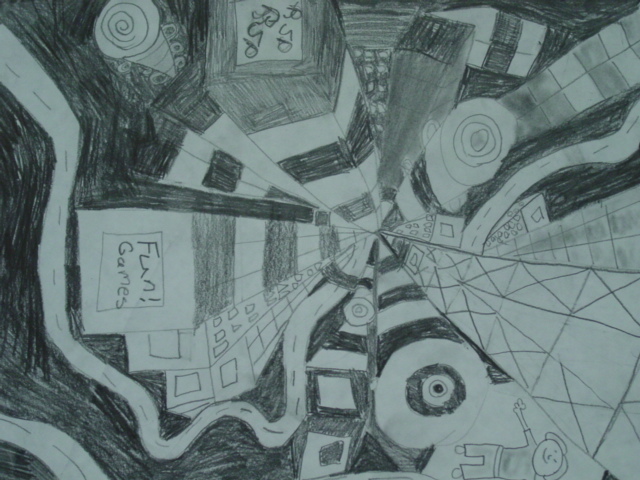 6th and 7th grade use 2 point perspective on floating boxes and ellipses. 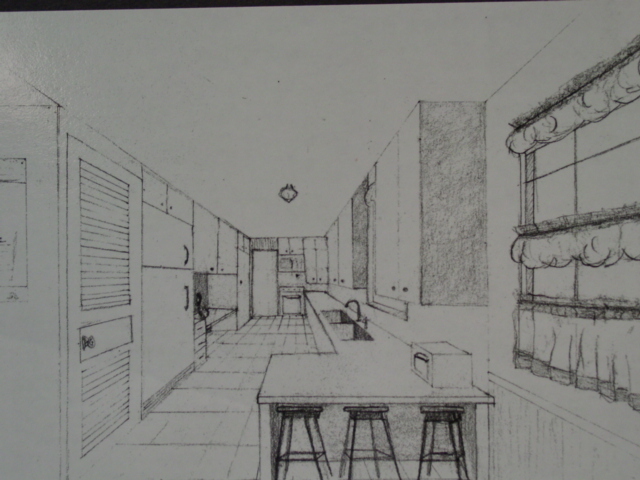 Intro to Art learn one point perspective for kitchen design. 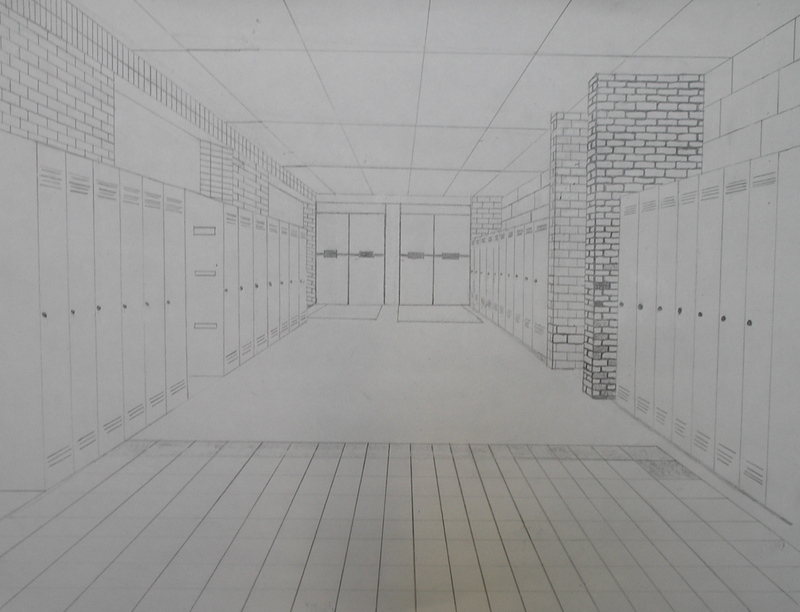 Intro to Art learn one point perspective for hallway observational drawing. 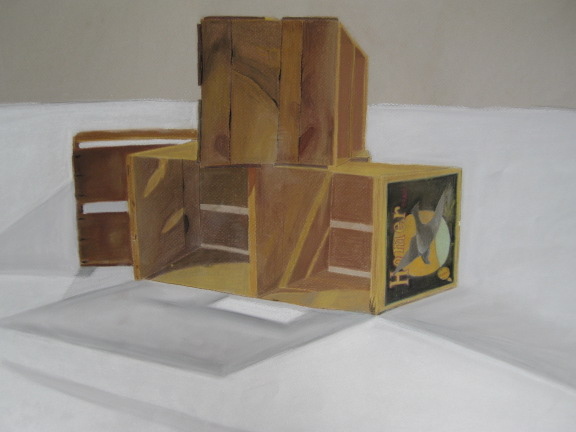 Drawing and Painting I create pastel two point perspective drawing of wooden crates. 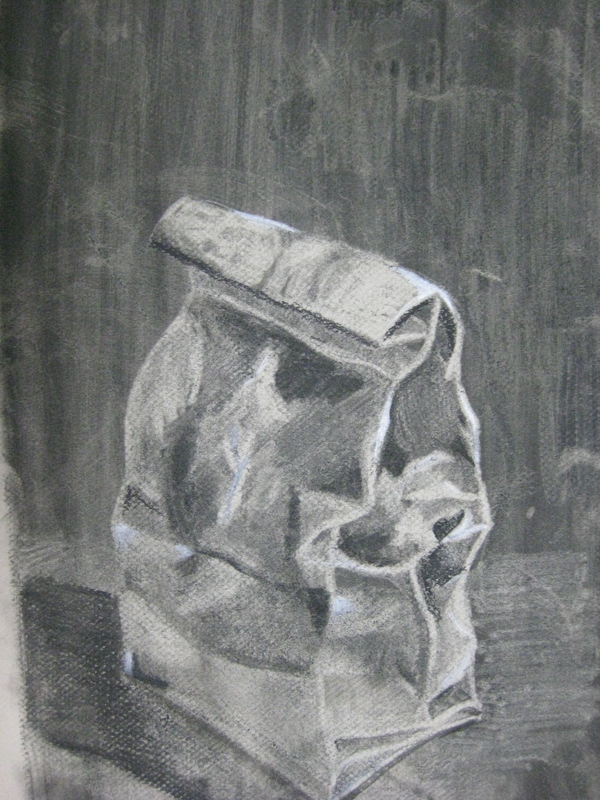 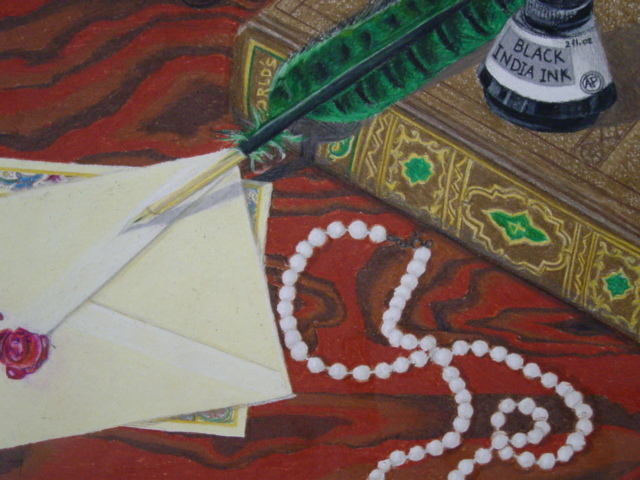 Drawing and Painting 1 use knowledge of two point perspective to do a reduction method drawing of paper bag. 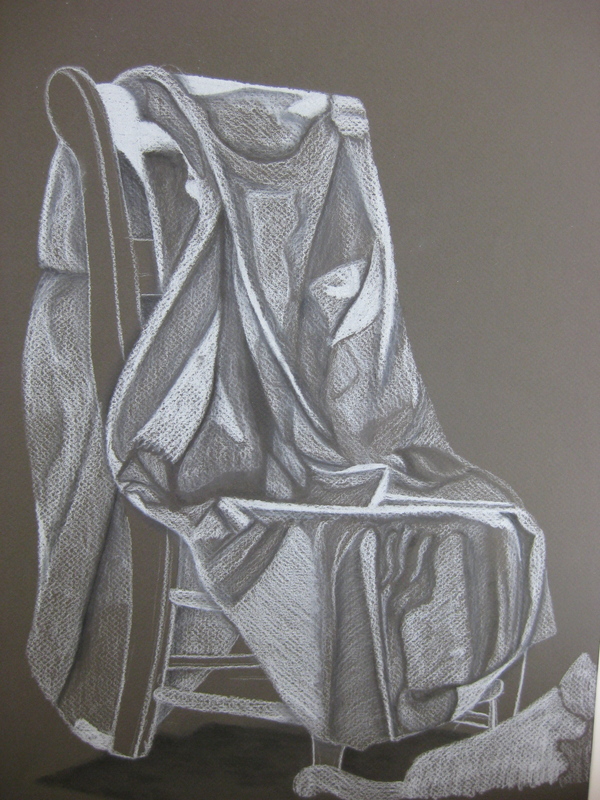 Drawing and Painting 1 use knowledge of two point perspective to draw a chair in perspective with cloth folds. 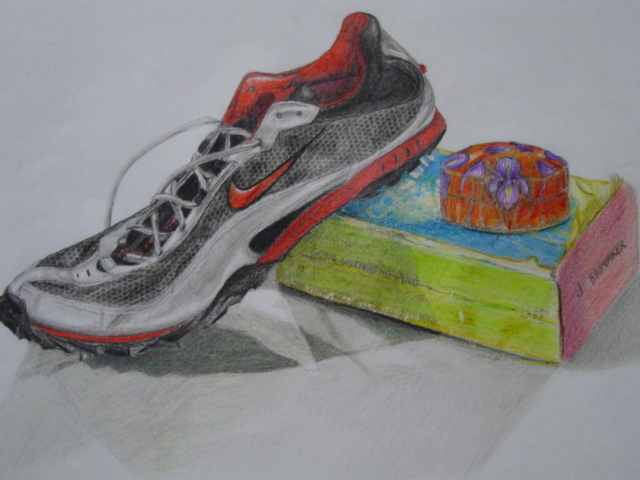 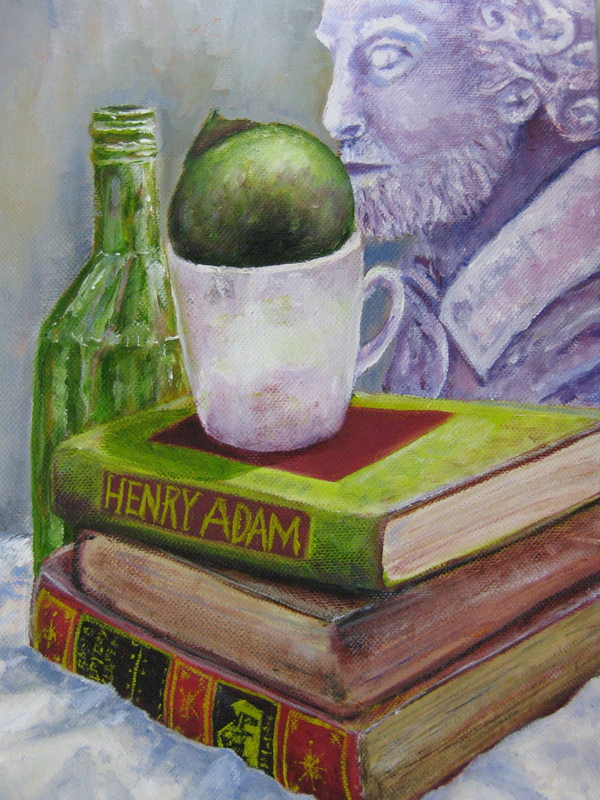 Drawing and Painting 2 create their own two point perspective still life. 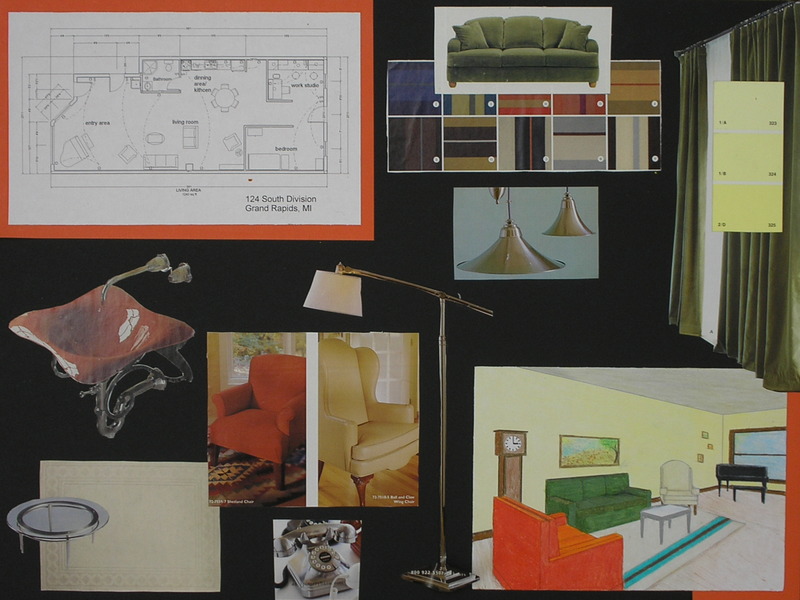 Design 2 uses knowledge of perspective to design and draw interiors. 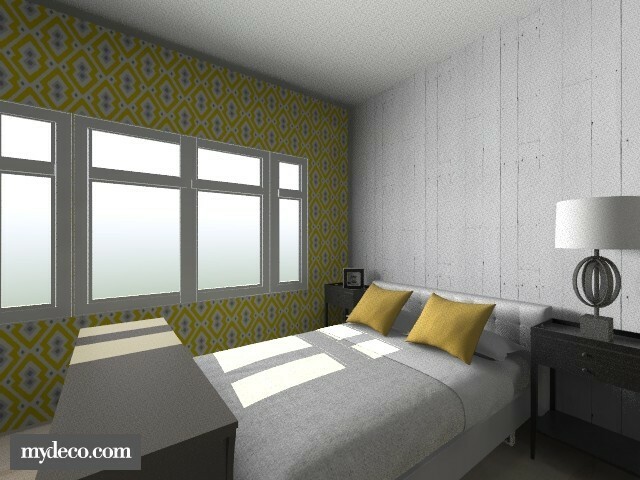 Design 2 uses knowledge of perspective to design interiors using computer software. 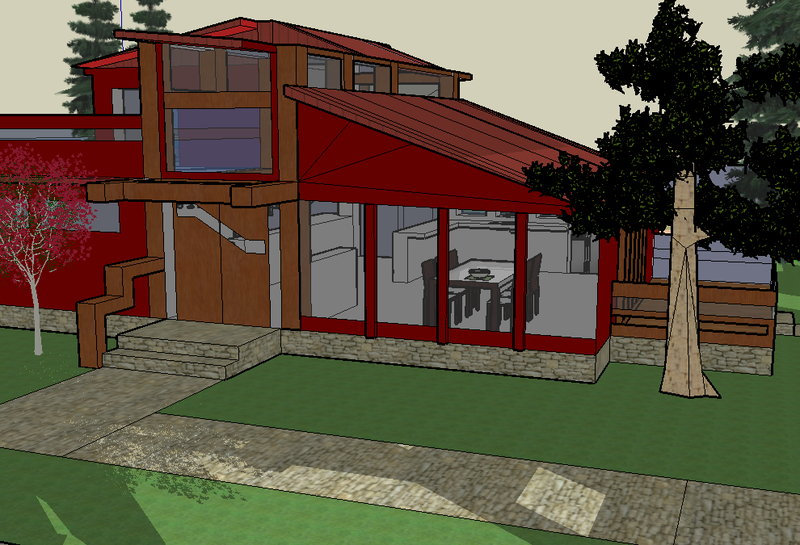 Design 2 uses knowledge of perspective to design interiors using computer software, Google Skethup!